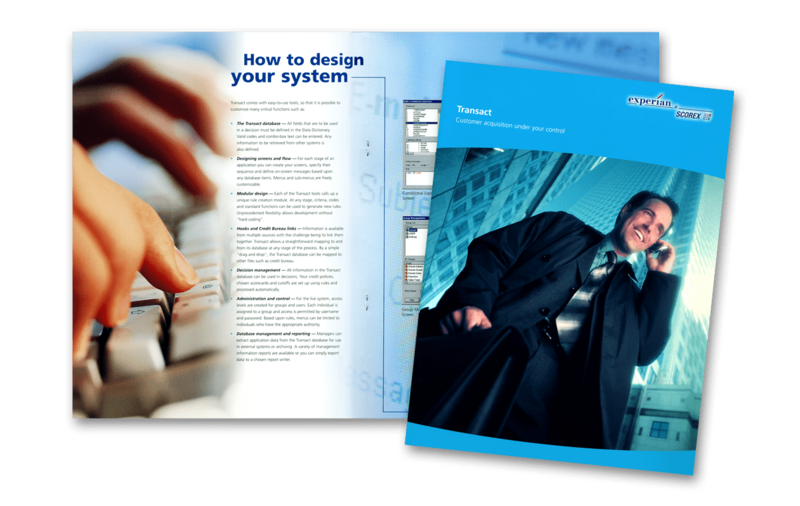 Experian wanted to update the visual design of their product brochures and flagship collateral pieces to make them appear more streamlined and user-friendly. At the same time, the company faced a challenge in creating new collateral since many of their products and services (web-based applications, databases) are intangible. They were faced with the question of how to represent them in a compelling way. I worked very closely with Experian to uncover the key factors which differentiated their services from the competition. To resolve the problem of properly representing intangible products and services, I developed an overall design which also maintained the integrity of their branding style guide provided by their tier-one advertising agency. My designs established consistency and uniformity in appearance across all communications materials. 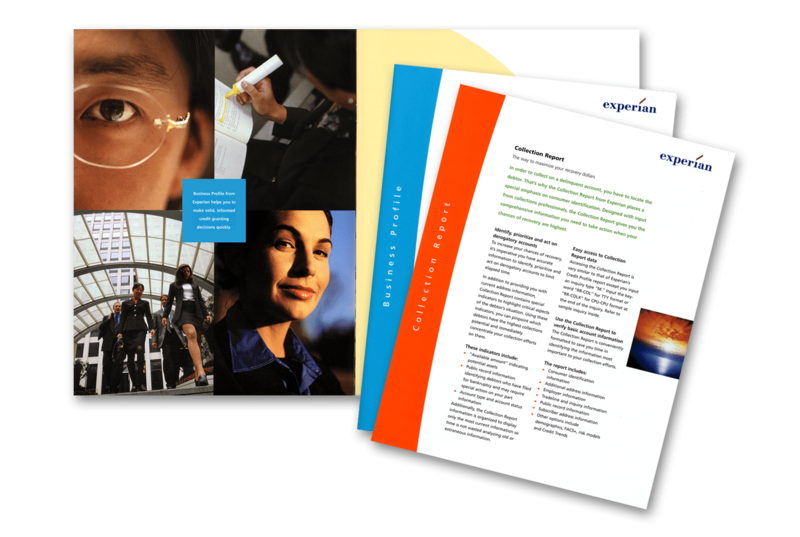 Experian was delighted with the new designs of its new updated line of brochures and data sheets.